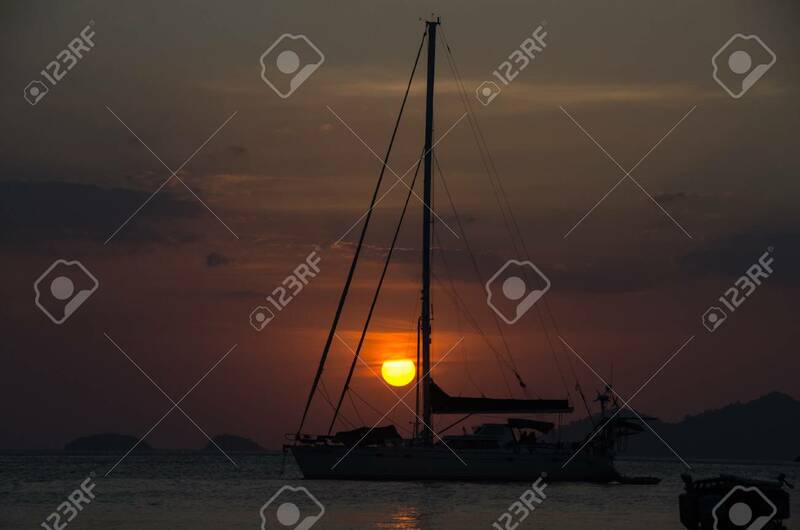 Silhouette Sailing Boat On The Sea At Sunset In Adang-Ravi Islandsin,Tarutao.. Stock Photo, Picture And Royalty Free Image. Image 97229715. Stock Photo - Silhouette sailing boat on the sea at sunset in Adang-Ravi Islandsin,Tarutao National Park, Satun Thailand. Silhouette sailing boat on the sea at sunset in Adang-Ravi Islandsin,Tarutao National Park, Satun Thailand.